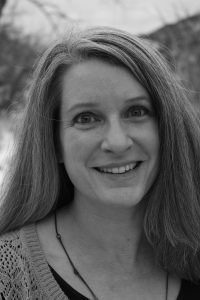 More About Ann: Ann Myers writes the Santa Fe Café Mysteries. The first book in the series, Bread of the Dead (2015), introduced café chef and reluctant amateur sleuth, Rita Lafitte. Rita and her friends stir up more trouble in Cinco de Mayhem (March 2016) and Feliz Navidead (October 25, 2016). Ann lives with her husband and extra-large house cat in southern Colorado, where she enjoys cooking, crafts, and cozy mysteries. I have seen great reviews for this book and have it on my TBR list. Thank you for showcasing this title. Thanks so much for featuring Feliz Navidead! Happy holidays! 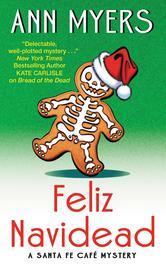 Feliz Navidead is a wonderful cozy mystery–I really enjoyed the characters and plot. I hope there will be a 4th book in the series.